November 17 would have been the 70th birthday of Gene Clark, founding member of legendary rock band The Byrds. Clark’s son, Kai Clark, has organized an intimate concert at Hotel Cafe this Sunday, Nov. 16, to celebrate the life of his father, featuring Kai Clark, Jangle Brothers (with John York, who played bass for The Byrds), Gospelbeach (featuring members of Beachwood Sparks), Carla Olson with The Psychedelic Cowboys, Bob Woodruff and more. The show takes place from 6 p.m. to 12 a.m., and tickets are $20. You can pick up advance tickets here. 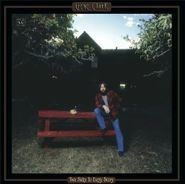 The event also coincides with the re-release of Gene Clark’s long out-of-print 1977 solo album, Two Sides To Every Story. It’s out on CD now and comes with a color, 26-page booklet with photographs by Ed Caraeff from the album cover photo session and liner notes by John Einarson, author of Gene Clark biography, Mr. Tambourine Man. In addition, the CD comes with a download card with more than 90 minutes of exclusive bonus tracks, including a 1975 full-band performance. An earlier LP reissue of the album is also available. "Not Fade Away" in Its Many Mutations. "Not Fade Away" is one of the best songs ever written: simple, direct, pleading, mentions a Cadillac in its lyrics...I mean, what more could you want in a song? I had the great pleasure of witnessing a Bob Dylan show in 2000 from about four people back. It was incredible, and one of the highlights was "Not Fade Away." I've pretty much been thinking about the song ever since then. For Buddy Holly to write something so pure and so fantastically mutable, especially at the age of 21, is remarkable. He owes a debt to Bo Diddley for the beat, that's for sure! The song's been covered a zillion times over and each time there's something new-- whether it's Dylan's band's killer harmonies or Mick Jagger's haughty congas-- and "Not Fade Away" retains its greatness. Yeah, even in the Rush version. Gene Clark is sort of a tragic figure. He is also one of the most complex, idiosyncratic rock stars I have ever read about -- I just finished Mr. Tambourine Man by John Einerson. Due to mental illness, addiction and over abundant sycophants, he died too soon and without ever realizing and enjoying his true potential. Things started out triumphantly enough in the early 60s, with Gene being plucked from complete obscurity in Kansas by the New Christy Minstrels to be in their group. He toured with them for a few months before his fear of flying, among other things, forced him to quit the band. He kept Los Angeles as his home base and soon met Roger McGuinn and David Crosby and they began creating music together. Soon, The Byrds were the biggest American band in the middle of the 60s and they were creating the kind of songs that will be remembered forever. Clark's time in The Byrds was truly the stuff that dreams are made of. He was a star literally overnight, able to buy a Ferrari and live on the edge. He became used to the amount of attention being a super star and the toast of the nation brought him. Gene was the main songwriter in The Byrds at that time, with songs like "My Love Don't Care About Time" and "Feel A Whole Lot Better," which meant that he was earning the most money. The others in the band jealously undermined him, especially David Crosby, who convinced an insecure Gene that he was such a poor guitar player that he shouldn't play on stage anymore. Crosby told Gene he should sing and shake the tambourine instead. Of course, Crosby took over Gene's Gretsch on stage. The many power plays within the group eventually led to Gene quitting the band.